Opus Art is proud to launch a collection of Polaroids by Godfather of British Pop Art Sir Peter Blake RA. This is the first time Peter Blake has worked with Polaroid film, and Opus Art is thrilled to be offering them exclusively, worldwide. Each Polaroid is completely unique, and is signed by Peter Blake and inscribed with his thoughts on the subject matter. 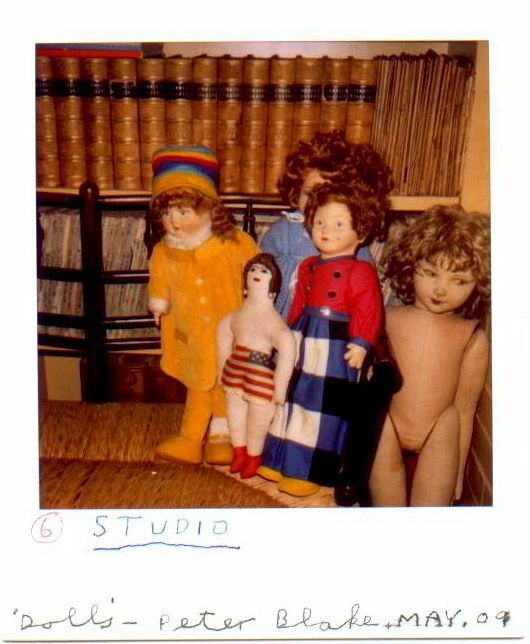 The Polaroids, which have been taken at the artist's studio and home using an SLR680 camera, will be available exclusively through Opus Art (www.opus-art.com) at the launch price of £950. Peter Blake is following in the footsteps of Andy Warhol, Marc Quinn and Helmut Newton, whose signed Polaroids can sell for over £30,000 in auction. Blake's new Polaroid collection is sure to appeal to collectors looking to invest, and Opus Art will be increasing the price as the collection sells out. Peter Blake will be launching his new Polaroid collection at Opus Art, Newcastle upon Tyne from 20 June. The exhibition runs until 1 August, 2009. Peter Blake is one of the best-known artists of the British Pop Art movement. He was made a Royal Academician in 1981 and received a knighthood in 2002. He is most famous for creating the artwork for The Beatles' Sergeant Pepper's Lonely Heart Club Band album cover. includes Dave White, Stuart Semple, Chris Kettle, Laurie Hogin, Josie McCoy, Will Tuck, Johan Andersson, Nathan James, Hush and Copyright. art websites. In addition Opus Art also hosts exhibitions in major international cities including Beijing. Sir Peter Blake RA is renowned for being one of the key proponents of the Pop Art movement. He is perhaps most famous for creating the artwork for The Beatles' Sergeant Pepper's Lonely Heart Club Band album cover, an exemplar of his celebration of popular culture through the use of a myriad of iconic imagery, something which characterizes his work. A highly distinguished artist, his work earned him membership into the Royal Academy of Arts in 1981, a knighthood in 2002 and more recently a major retrospective exhibition at the Tate Liverpool in 2007.